"He is going to come back with a vengeance and really wants to win this race." - Asafa Powell's agent, Paul Doyle, talking big about Asafa's chances in the 100 at Sunday's Pre Classic now that his ankle injury isn't bothering him. Her Last Chance Ever: Can Hasay take Kim Mortensen's 3200 meter record? Does Greer have a shot at the national high school record? Could Bekele go sub 10:00 for 4K? Rose Kosgei Gets Biggest Win Of Career At New York Mini 10km Agressive from the start (5:04 first mile), she hung on late for the win as unkown American Serena Burla was 2nd. *LRC: Who The Hell Is Serena Burla? LRC: 2009 NCAA Men's Preview We break down the men's mid-d and distance events plus the relays, 100, 400 and team competition for you. LRC: 2009 NCAA Women's Preview We break down the women's mid-d and distance events plus the relays, 100, and team competition for you. LetsRun.com's 2009 NCAA Prediction Contest After reading our previews, we dare you to see how your knowledge stacks up against that of the very brightest - the LetsRun.com community. Who has truly the best knowledge of NCAA track and field? Enter the contest and find out. Get your friends and compete in your own group. And because we are kind-hearted souls, a perfect distance ballot will net you $20,900. Big Profile On Bolt Prior To His Run In Toronto On Thursday Bolt's Agent: "Usain's got personality, that X-factor that can make people happy. He likes to entertain them and to have a good time." *Wanna See Bolt? It'll Cost You Between $50 and $250 Bolt is a star and the venue only seats 6,500. Interesting to see that the race tried to have a $1 million bonus for Bolt to break a WRecord but no insurance company would insure it at a reasonable rate. Kenya Unlikely To Host 2010 African Champs As Sports Ministry Won't Give Them The Money The head of Athletics Kenya is irate at the sports minister for favoring soccer: "She will run to football for every small reason, carrying a bag of money." 10k At June 25-27th National Champs (Not WChamp Trials) To Be Used To Pick Kenyan WChamp Team The Kenyans are smart to realize making the guys run two 10ks two weeks apart is foolish. *Recap Of German Pro Meet 67.48 women's jav and 2.00 women's HJ. *Yelena Isinbayeva Decides To Vault In London - Media Explodes With Articles "You know you're a track star when ..."
*Glen Mills Impressed But Not Intimidated By Gay's 19.58 We want to give Glen Mills an honorary LetsRun.com degree for being such a good coach. *World's Fastest Female Sprinters Jeter And Williams To Face Off In Eugene With Golden Girl Fraser American Carmelita Jeter is slowly building quite a name for herself. 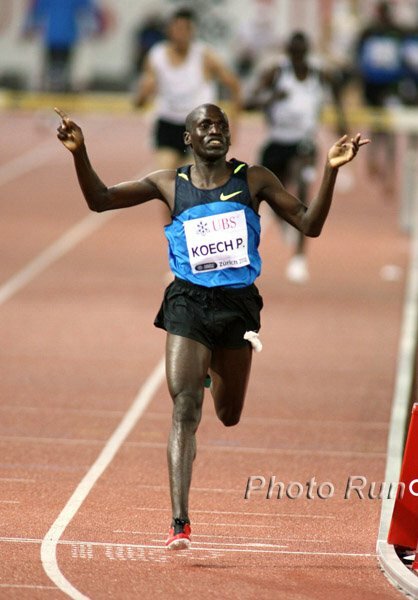 *IAAF's Prefontaine Classic Preview Not quite the caliber of the LRC's A Fan's Guide to Pre. Twittering Is New Obsession Of Many - LetsRun Says: Don't Twitter. Run! *Tough Luck: Oregon Javelin Thrower Tears Her ACL At Regional Meet Our NCAA analysis is coming out this weekend, but until then we'll give you a preview: it looks like Oregon and Texas A&M are going to be tight on both the men's and women's side at NCAAs. Dexter Lee's Agent Upbeat For His Client's Potential The young Lee has run 10.31 and has come through big at world juniors. Reebok has decided to give him a contract and hope he goes big after some developmental years spent studying in the US. Free Self-Help Tip: Exercise Elevates Moods Of Test Subjects For 12 Hours After We were thinking maybe this study means we should go running in the morning rather than waste 8 hours of "elevated mood" sleeping. Or you can just run 12 hours apart every day and always be happy. Wall Street Journal Writer Asks: Can Ivy League Sports Teams Get Their Luster Back? LetsRun.com asks: Did we miss something? We didn't notice the luster was gone. The writer assumes that because Harvard can't compete with USC in football that Ivy League sports have something wrong with them. We disagree but it's still a worthwhile read. We break down the events in great detail in chronological order. Print this handy guide out and sit down and enjoy the NBC telecast. The meet is going to be great as the fields are so stacked that we had to pick a 2008 US Olympian to finish dead last in one race. The Bowerman mile is top notch with Asbel Kiprop and Haron Keitany. Sadly, we think it's a higher probability that Alan Webb is a DNS than that he breaks his high school PR in this race. 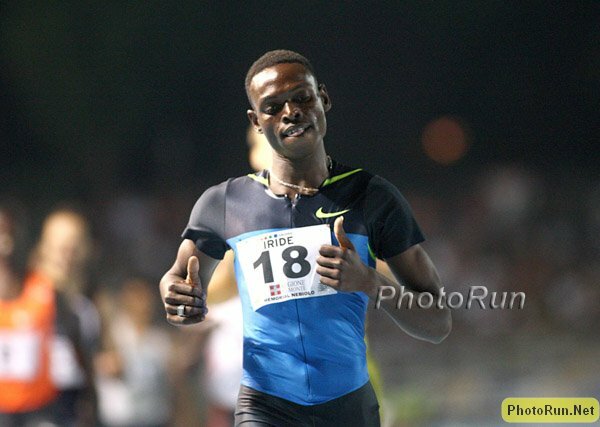 *MBoard: Will Lagat Get AR In Men's 3k? *Brit 800 Star Jemma Simpson Adjusting Nice To Life In Eugene She made the move with OTC head Marc Rowland. *Asafa Powell's Agent - Ankle Injury Isn't Concern - Expect Big Race At Pre Agent: "He is going to come back with a vengeance and really wants to win this race." *Rend Lake Produces Again: Sprinter Ryan Bailey Goes Pro After Frosh Year And Is Running Pre Classic The article says someone like him might make $200,000 per year. We say no way. *Catching Up With HS 800 NRecord Holder Michael Granville (video coming) He never ran faster. Awesome Read: Oregonian's Ken Goe Says It's Not Fair For Pac 10 To Advocate Cutting Regionals "Doing away with the regional meets would cut costs, but at the expense of fairness. Jenny Meadows: "I have had a great start to the season." Beating Jelimo certainly will pump somebody up. Glen Mills Trying To Be Patient With 19-Year-Old Johan Blake Blake has other ideas as the sprint phenom wants to make the Jamaican WChamp team. Must Read On Barry And Darren Brown - Father/Son Sub-4:00 Darren's father Barry Brown was one of the leading members of the Florida Track Club along with guys like Marty Liquori, John L. Parker and Frank Shorter before taking his life when Darren was a child. Amazing read about an amazing kid giving it a go as a professional runner. 1:48.66 For Robby Andrews At NJ Meet Of Champs - Full Results A LRC reader wrote to us saying the NJ MOC was sick and he was right. 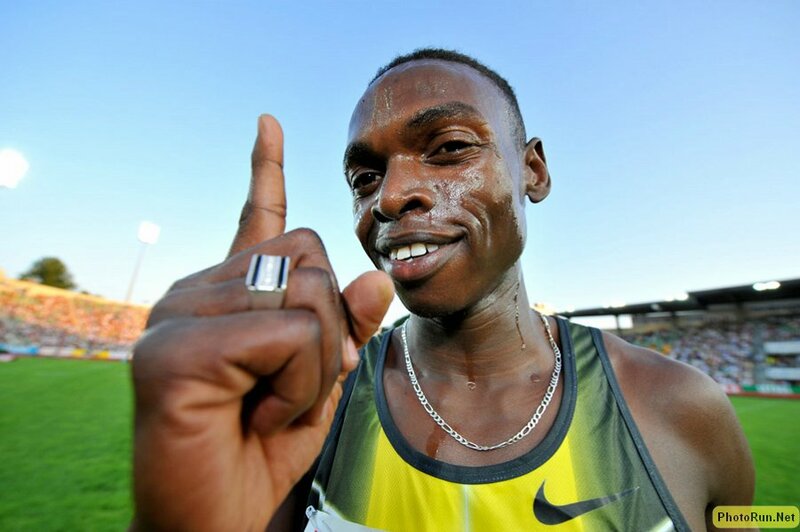 *Pamela Jelimo, Nancy Lagat And Janeth Jepkosgei Lead Kenyan Charge To Pre Meet Add 1,500m star Asbel Kiprop and 3:30 guy Keitany to the 9-strong list of Kenyans competing in Eugene. *LRC Recap *LRC Thread *Hengelo Results There were some unexpected results in Hengelo including Kenenisa Bekele dropping out of the 1,500, and some super performances including another impressive win by the man to the left (Abubaker Kaki) and a sub-4:00 run by Gelete Burka. Americans Reese Hoffa and Dwight Phillips had tight contests with international stars Thomasz Majewski and Irving Saladino plus all 3 steeplechase medal winners from Beijing squared off. Find out more in our recap including who became the first man under 13:00 in 2009 (you will be surprised). Experienced D1 Coaches. Cornell Athlete Counselors Including NCAA Qualifiers. A Lot Of Fun. Stay In The Dorms. Eat In One Of The Best College Dining Halls. Every Event Covered. Distance Runners Welcome At Both. All Skill Levels Welcome.